Declared by its guests as the "jewel of Amorgos", the easternmost island of the Cyclades group in Greece, Aegialis Hotel & Spa is the best that Amorgos has to show with its incredible and stunning view. Located over a peaceful bay, the hotel is designed to respond to the guests’ need for silence, peace, mind and soul refreshing. Aegialis Hotel & Spa is a family run establishment that aims to offer its guests a unique experience of the local authentic life of a Greek island. The warm welcome from the owners and the personnel, the high standard of service and facilities and the unique views ensure a memorable stay. Aegialis Hotel & Spa is a hospitable retreat built in the Cycladic traditional architectural style between two of the most beautiful sandy beaches of the island. The Hotel houses a small world, arranged in blue and white buildings set into the hillside, such that all traditionally-furnished and fully-equipped rooms and suites benefit from the breathtaking views over the bay and the surrounding islands. “Lalon Idor Spa”, located in a separate building adjacent to the main hotel complex, is an ultramodern thalassotherapy center designed in such a way to wake up your senses, relax your spirit and revitalize your body. 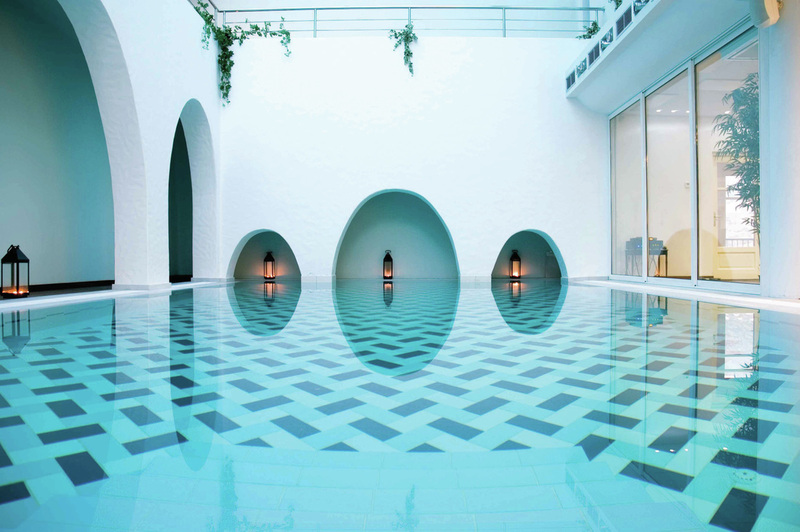 The Spa offers sauna, hammam, Jacuzzi, indoor heated sea water swimming pool, fully equipped fitness centre, as well as cutting edge Spa treatments from our inspired therapists. It is also home to “Namaste Yoga Shala” where daily Yoga classes with our in house teacher take place, as well as Yoga, Pilates and dance retreats by groups from all over the world. Amorgos Island and Aegialis Hotel & Spa await you for a unique relaxing and soothing experience amidst the Aegean.